Introduction to Algorithmic Marketing is a comprehensive guide to advanced marketing automation for marketing strategists, data scientists, product managers, and software engineers. It summarizes various techniques tested by major technology, advertising, and retail companies, and it glues these methods together with economic theory and machine learning. The book covers the main areas of marketing that require programmatic micro-decisioning - targeted promotions and advertisements, eCommerce search, recommendations, pricing, and assortment optimization. 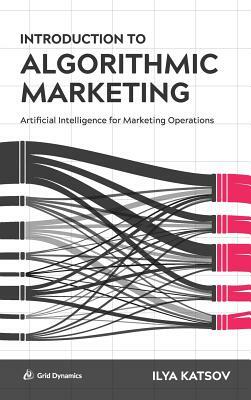 "A comprehensive and indispensable reference for anyone undertaking the transformational journey towards algorithmic marketing." "It is a must-read for both data scientists and marketing officers―even better if they read it together." "The book gives the executives, middle managers, and data scientists in your organization a set of concrete, actionable, and incremental recommendations on how to build better insights and decisions, starting today, one step at a time."